Strategic Dreams was created to fulfill a gap in the self-improvement literature. We usually see two opposite sides of teaching. On one side, the “gurus” defend a carefree approach to life. “Live your life to the fullest”, be in the moment, visualize what you want and you shall receive it. On the other side, we see techniques, methods, and concepts that are somewhat effective, but don’t work for everybody. This line of thinking tends to associate success to key personality traits and give off the idea that in order to make it in life, one must be a perfect human being. 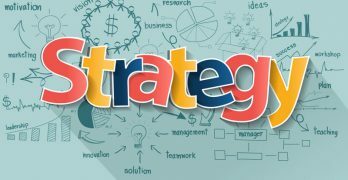 Strategic Dreams is based on the idea that organizing, planning, and productivity are the keys to success. We have observed and studied success for decades. What we notice is that successful people come from all walks of life, have different personalities, and above all, are far from perfect. We bring a no BS approach to the science of achievement and teach you how to be more productive and reach your goals, no matter who you are, where you came from, or “how flawed” you are. An ancient Chinese proverb says that if you keep going down the right path, you will eventually get to your intended destination.